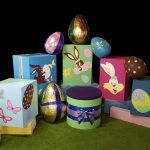 PLEASE NOTE: We do not manufacture or supply chocolate Easter eggs. 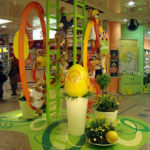 This scene will require 1 x Electricity point for the LED Towers. 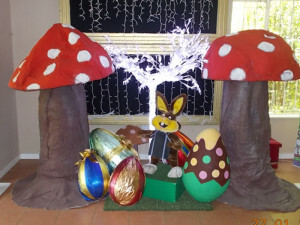 A 2.5m LED illuminated Easter Tree with rabbit. 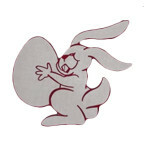 1 x Soft Toy Bunny. 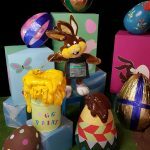 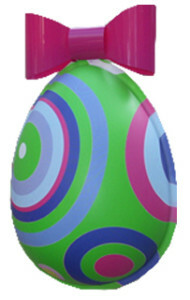 2 x Painted Easter Eggs. 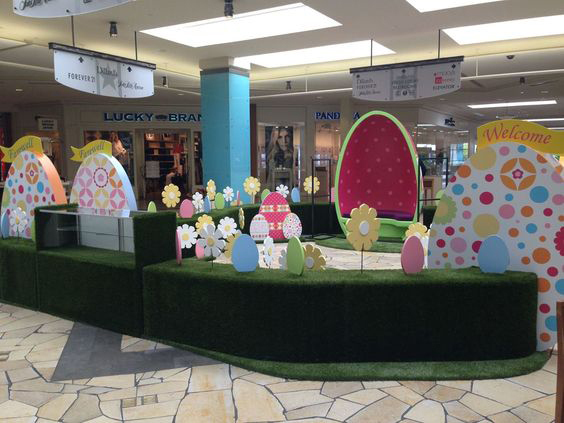 The entire gazebo scene is a static walk through display with 4 quadrants either side. 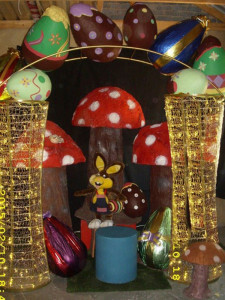 Wooded Forrest with Easter Eggs / Bunnies and Chickens. 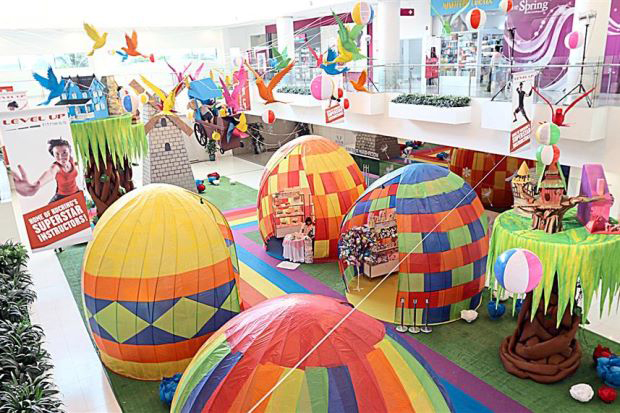 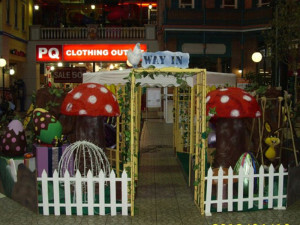 The Gazebo scene usually would coincide with a Children’s activation scene. 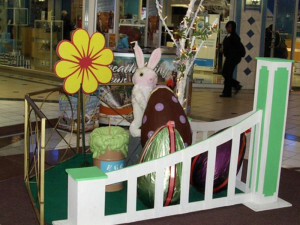 The Gazebo Scene would be the registration area for the children going into the Activation area. 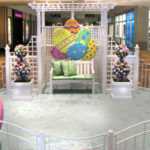 The Gazebo Scene can be made larger as per the centers requirements. 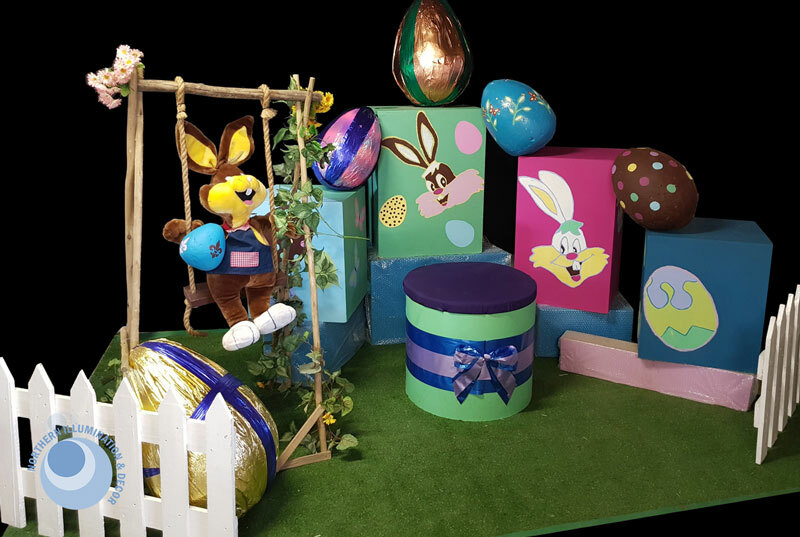 All the below items are made in South Africa, choose any combination of decor elements and contact us for your Easter decor quote! 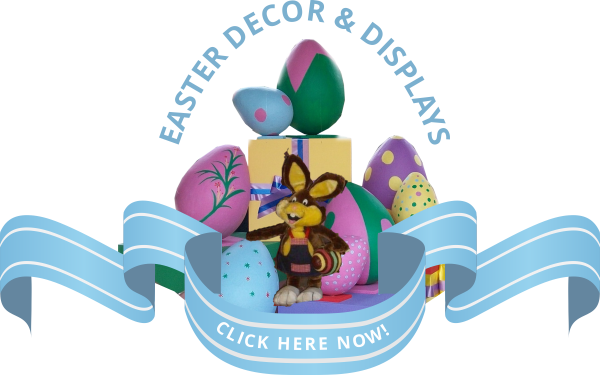 All the above items are made in South Africa, choose any combination of decor elements and contact us for your Easter decor quote! 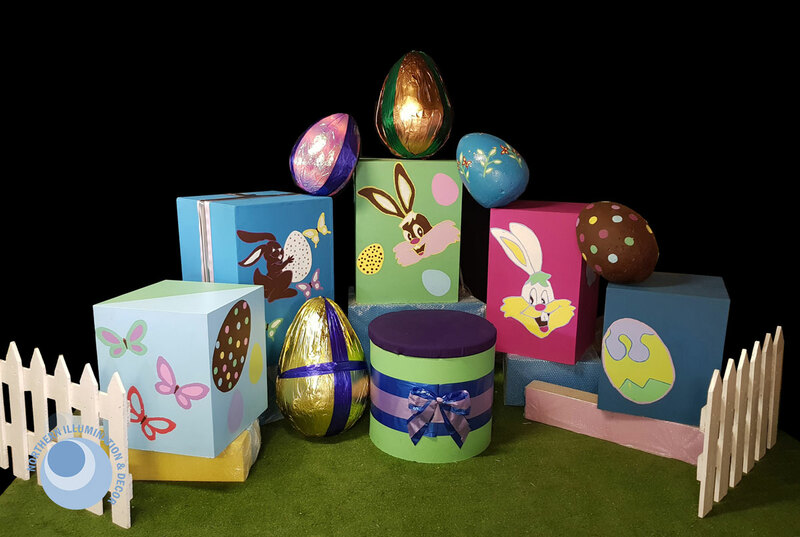 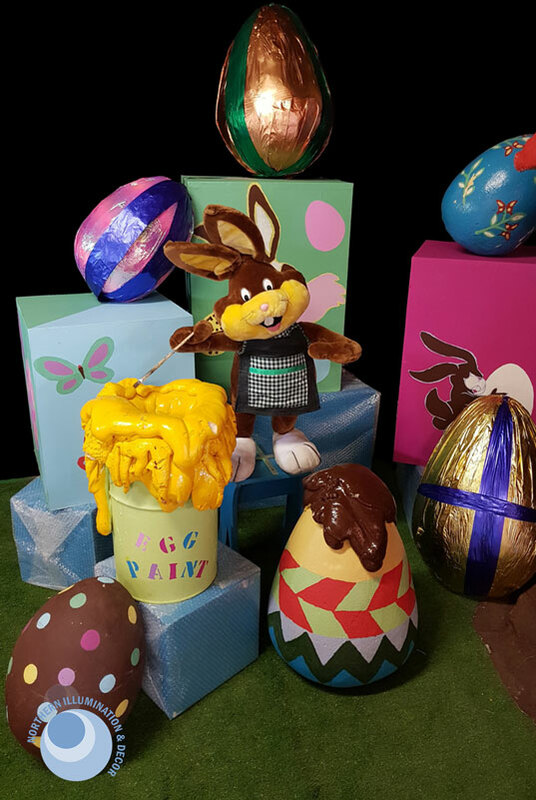 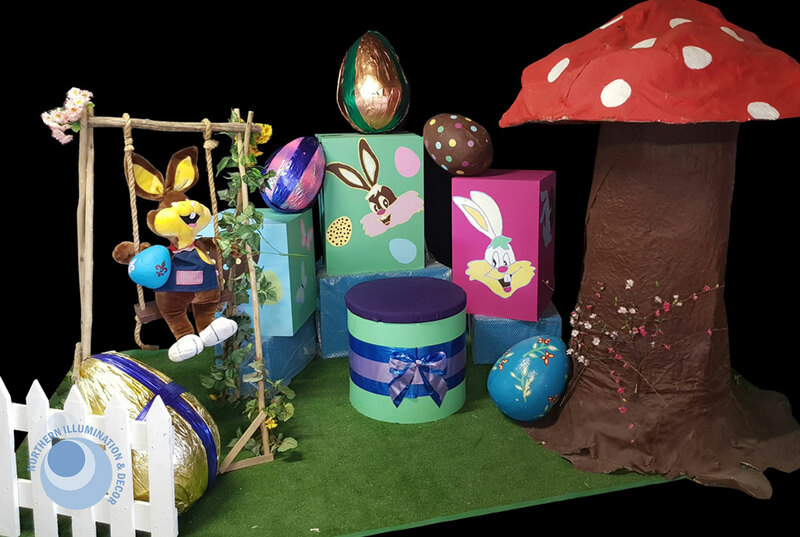 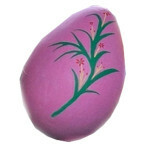 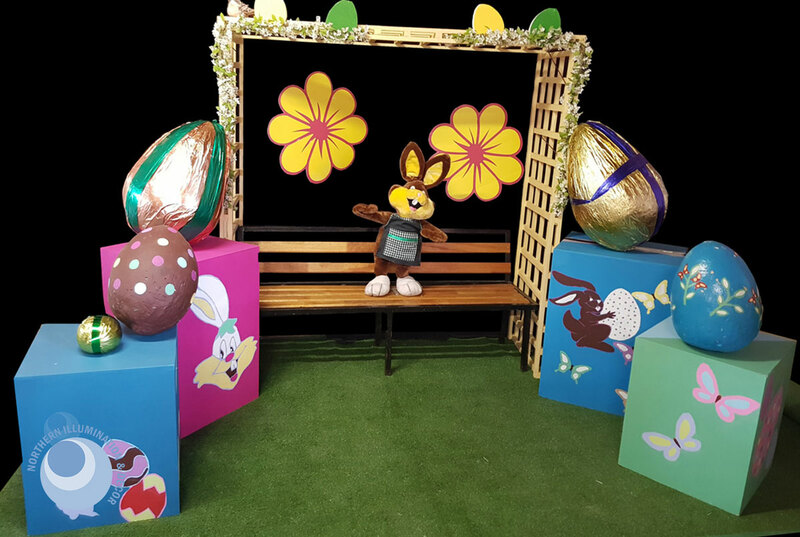 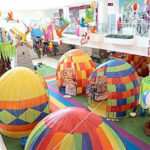 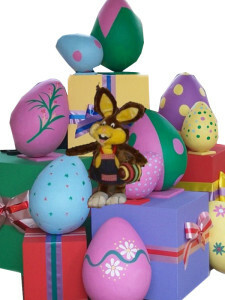 PRICE: R655 PRODUCT: 40cm and 70cm fun Easter Eggs. 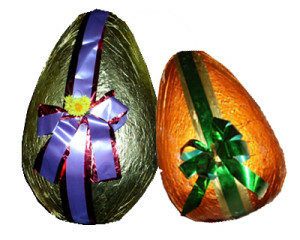 Each egg comes in two halves and is extremely light weight. 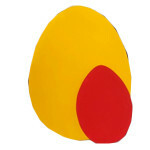 They come in plain colours or patterned as pictured. 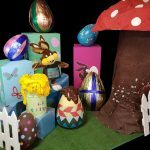 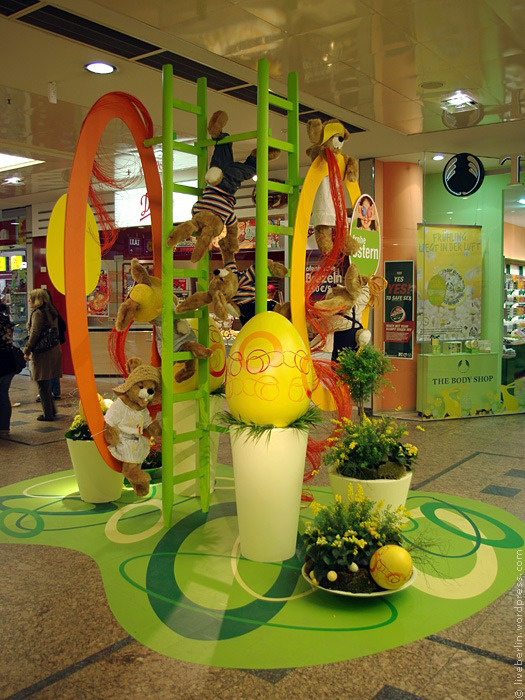 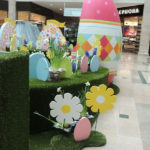 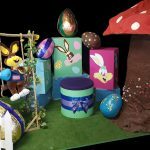 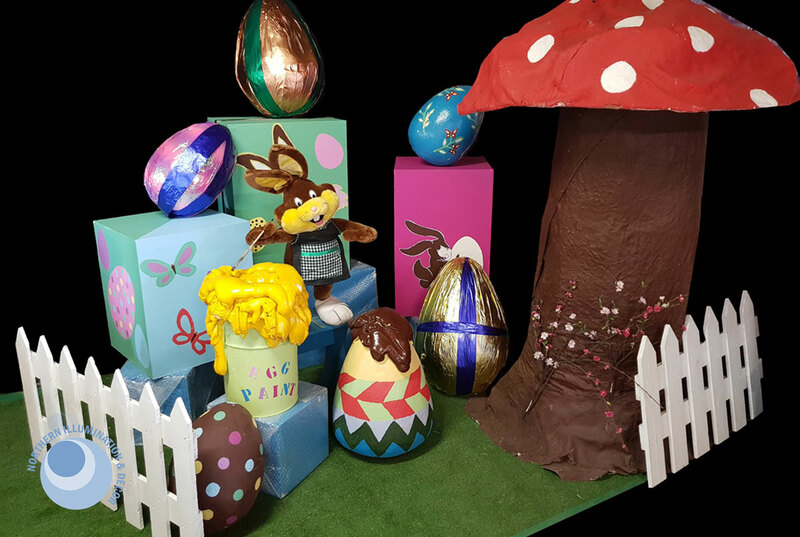 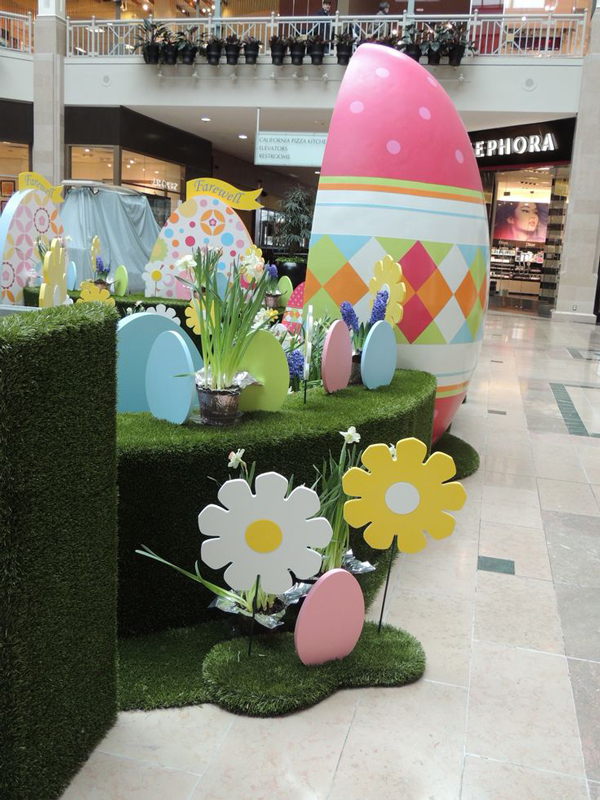 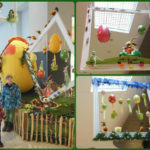 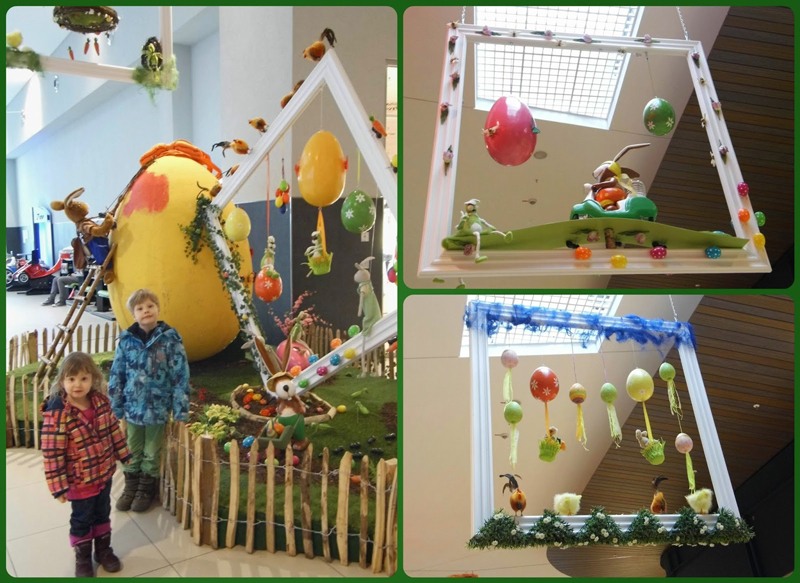 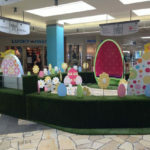 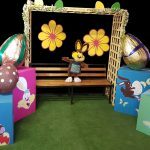 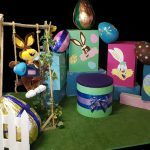 Click here to view gallery of past Easter decor and displays by NIAD.